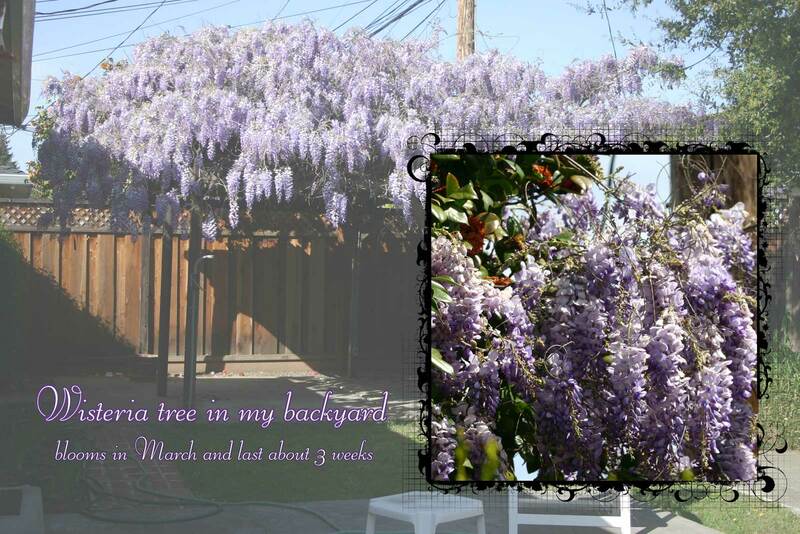 Thanks for all the comments on the wisteria tree! I decided to take the opportunity to post another photo of it and answer some of your questions, too. Hee! Unfortunately, I'm extremely allergic to it, but it's worth the watery, swollen eyes and sneezing and coughing. It's so purdy. hey that's super cool how you did that! Oh I love how you did that page. Such a beautiful page. And I am so jealous that this is your view of your backyard. Incredible. So beautiful! In London, we had a wisteria outside our window, which just knocked us out with a riot of colour. remember when we got married under the wisteria tree? then on our honeymoon we went to this restaurant by notre dame with the wisteria tree outside it..... ah... memories! Awwww. Sounds like this is a special plant for you, Mad, even if you're allergic to it. I LOVE how you have created this pic! I have no clue how you did it either!